Viola Beauty: OOTD: Sequin Smoke! 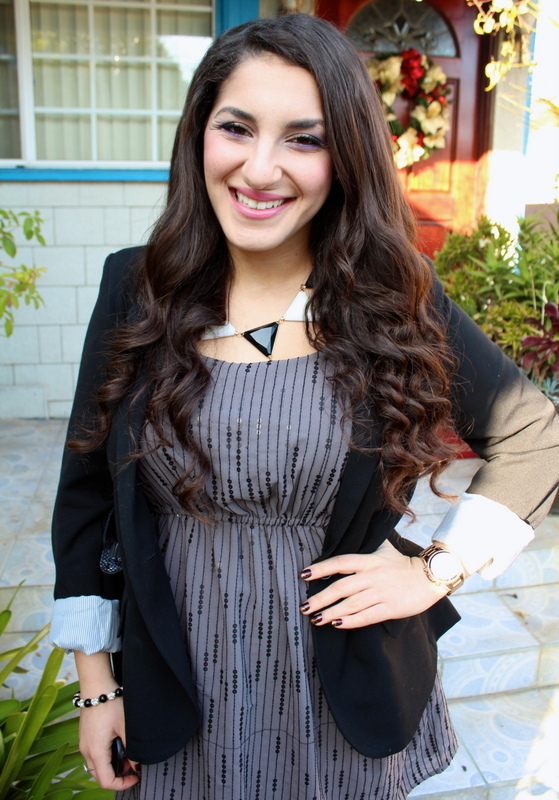 Today's Outfit of the Day centers around the smokey colors of black, white, and gray. 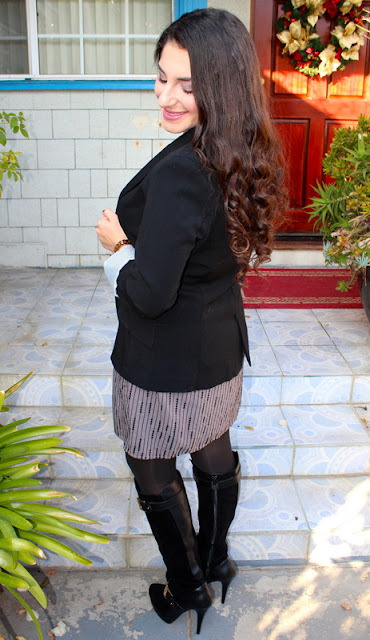 I paired a cool gray sequin dress with black heeled boots and a black blazer. 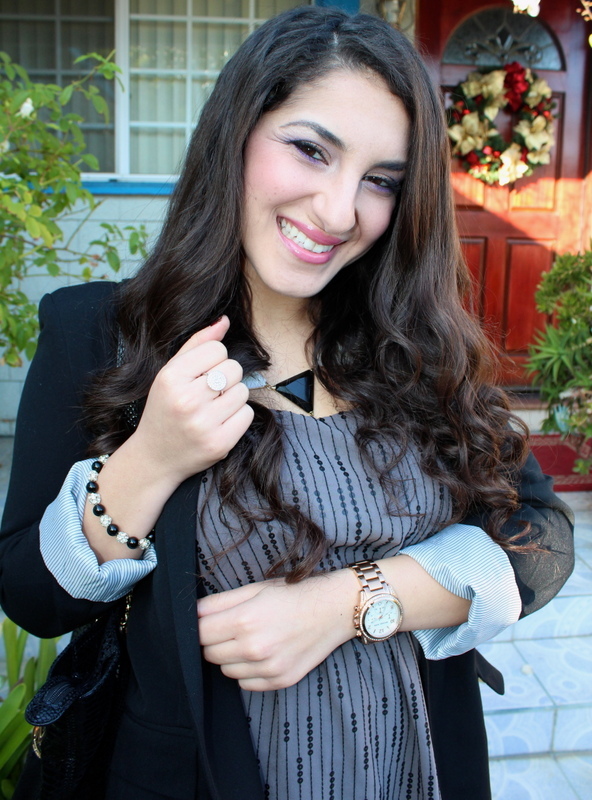 Statement jewelry pieces take the outfit a bit further and give it an edgier vibe. Sometimes it can be hard to wear glitzy sequins in the daytime because they are mostly associated with evening attire and worn usually for parties or other events. The sequins in this dress are sparse, however, and are black, so they add some glam without being too overwhelming for a daytime outfit. 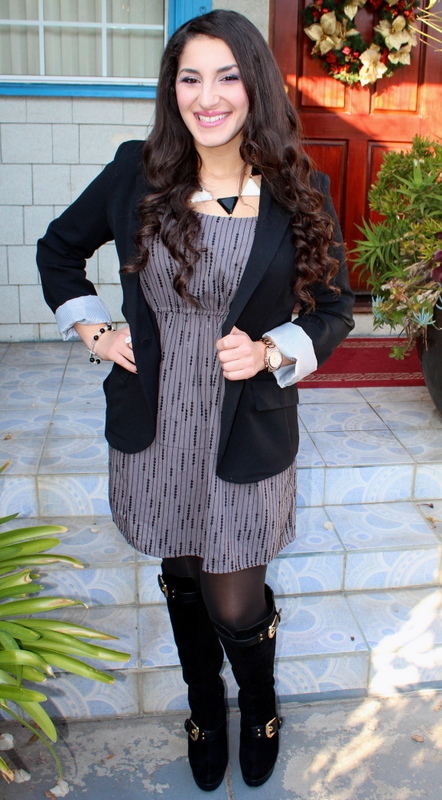 I paired the dress with black tights, knee-high heeled boots, and a black blazer to dress it up a little more. You can easily wear a dress like this with flats and a cardigan as well. I featured these boots in my last post, so I wanted to give you some up close photos of them here. 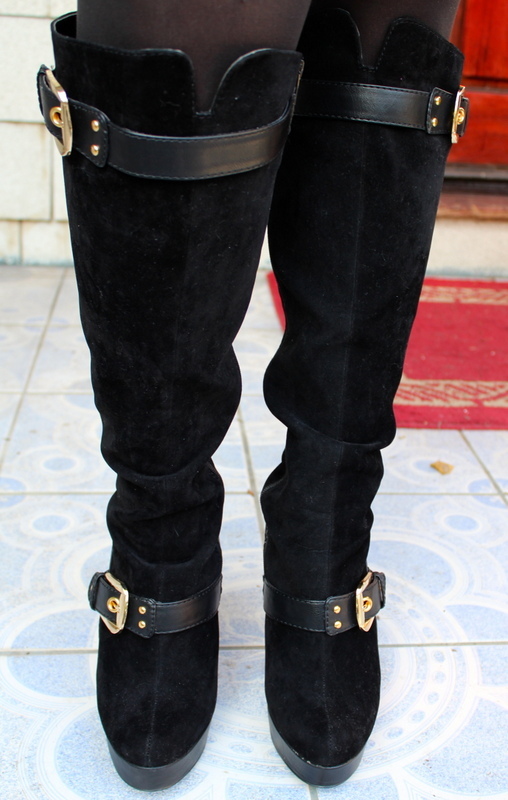 I love the gold buckle details and how the faux suede has strips of faux leather interspersed throughout. It gives these boots a lot of attitude. I toted around my black and gold leather Michael Kors bag and thought it tied in very nicely with the boots. I always feel like I'm getting ready to punch the camera when I'm trying to show you all my jewelry, but it works! 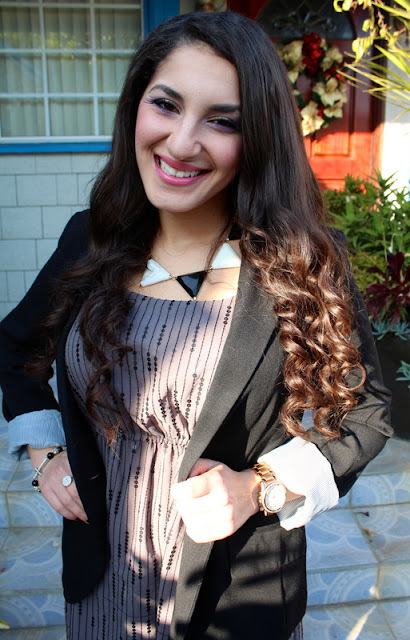 For accessories, I'm wearing a black and white geometric statement necklace, rose gold Michael Kors watch, silver rhinestone ring, and black and silver rhinestone cross bracelet. I also have on simple stud earrings. 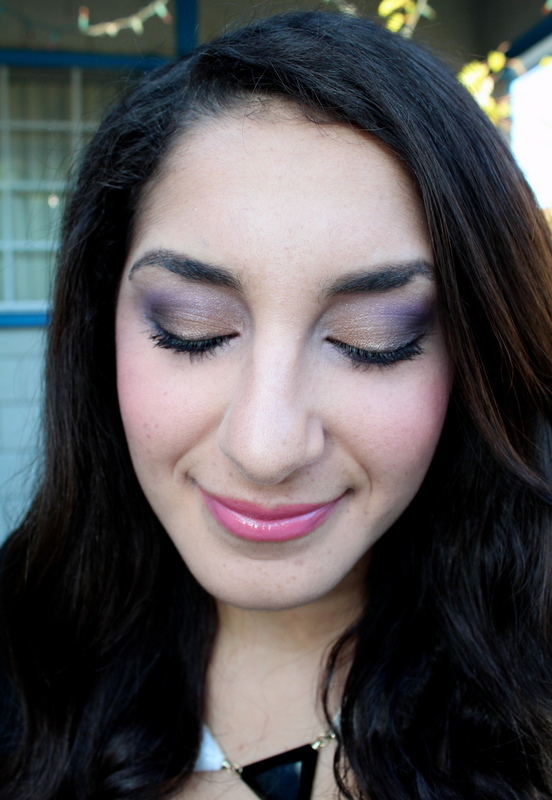 For makeup, I decided to wear purple shadow to add some color to my "smokey" outfit. I kept the cheeks and lips pink. This is the aftermath of getting ready in the morning!